The Journal for Undergraduate Ethnography (JUE) is an online publication for undergraduate academic writing. The JUE seeks to publish original ethnographic research by undergraduate students working in a variety of disciplines. Our goal is to bring readers insights into subcultures, practices, and social institutions. We expect crossovers with anthropology, sociology, urban studies, and area studies, as well as programs in education, design, or management. 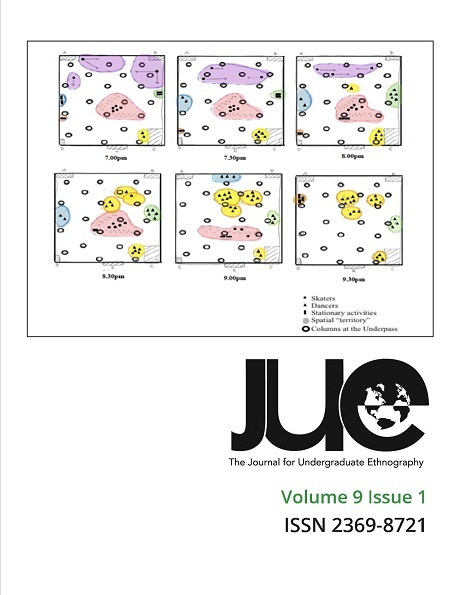 The Journal for Undergraduate Ethnography's latest issue, vol. 9 no. 1, is out, along with our new call for papers.